Faith as an entity is the backbone of any theology. We now examine how true this statement is by taking example of few religions. Hinduism was born in about 2000 BCE as a blend of emigrant Indo Aryan and earlier existing Dravidian culture. The latter were basically nature worshipers and the Aryans brought in a cult of assigning each such natural event as sunshine, flood, rain, wind, sickness, fire, water etc to a different Power. These gods were then appeased by performing sacrifices, Yagna etc. Hinduism was thus ritual based, worshiping a large phantom of gods. In this process, gradually castes other than Brahmins and Kshatriyas felt themselves alienated as second class citizens. As a reaction, by the 6th Cent BC, Buddhism rose up, focusing on sufferings of common man and stress on nonviolence. 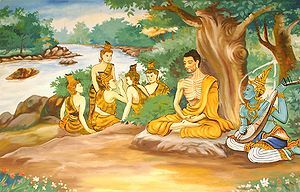 The declaration of Buddhism as State religion and the Missionary movement started by Emperor Asoka (4th Cent BC) resulted in the spread of Buddhism to Central and East Asian countries. This continues to be popular with the Dalit and other castes in India even today. While Hinduism professed faith in multi powers, Hinayana Buddhism, the original version, advocated total humanism. 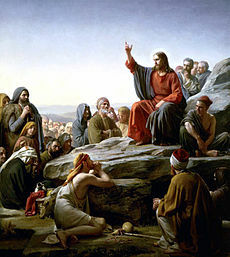 Christianity took birth in the first century CE in as reaction to repression by Roman Emperors and in 4th century CE, it was declared as its State Religion. In the next centuries, Roman church broke up as Catholics and Protestants. Battles were waged between them for centuries, each seeking supremacy in entire Europe and New Continent. The Vatican city in Italy continues to be an autonomous seat of Pope who administers churches world wide. Countries and property controlled by each wing of Christianity are numerous.. Now even after all have accepted democracy, each nation swears by one of the two sects of Christianity. The Buddha, Mahaveer Jain (Jainism is contemporary to Buddhism) and Christ preached only humanism. The terms faith and miracles do not figure in them, but got inserted in Christianity and Mahayana Buddhism in later centuries by devotees. In Hinduism, revived by Shankara (788 – 820 AD), other Acharyas and Sants, basic stress has been to search for Truth and find salvation at individual level, with no concern towards even family members. Till advent of Asoka in India, the rulers and a majority of the citizens were Hindus, so there was no conflict. This trend of a Ruler professing allegiance to a religion continued in East Asia and later in Christianity also. The religious thought here percolated from the Ruler downwards. Under pressure, duress or compulsion, a particular religion got upper hand, at any given time. Later, Hindu monks converted many Rulers to Hinduism. Nepal is the continuing lone example. 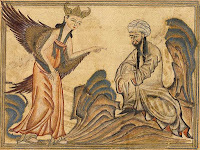 Islam was founded by Prophet Mohammed (570 – 632 AD) in Central Asia and later it spread to Asia, Africa, part of Russia and Europe. It started the new cult of “forcibly converting or killing” the non-believing people of the Nations it won over. From 10th century it entered India in waves and consolidated itself. Now with about 20 crore of population, it is the second largest religion in India, is also the second largest one in the World. Thus the phrase 'faith towards almighty at individual level' had no meaning at anytime in history. After Independence, India has accepted a secular Constitution. Even though the earlier grouse of 'Brahmins' control' is a non-issue now, religious influences and caste factors are playing havoc with Administration. It was just by a quirk of fate that India escaped being turned into a Hindu Rashtra few years ago..
A recent development is the rising power and commercial influence of temples, Mutts, Churches, Mosques, babas, educational Institutions affiliated to religious institutions, NGOs etc. Never in the past had politicians unashamedly bowed before every Monk, Swami, Priest or Maulvi for Vote bank as now. The wealth, influence and quantum of real estate grabbed from the State by the caste linked bodies through dubious means is alarming. This sector holds much of the landed property in prime areas in all parts of country next only to the State.. Every decision of the State is made considering the impact on this or that Religion. Saffron clad Sadhus adorn dais in Public functions in hordes and speak on every matters except religion and betterment of common man. Country is divided caste wise more that ever, each having its own temples, Deity and Mutt and Swamis. Each one thinks first of his sub sect. Thus basis issue of faith and relation with Super power are relegated to backyards. Now take other examples, say music or fine arts. Kritis were composed by Saints as bhajans extolling particular Deities. But the same song we hear today is set to a raga, tala, laya and sruti. Wordings of pallavi have receded to redundancy. No doubt music is gaining popularity, more youngsters and sponsors are entering in with modern gadgets. Artists travel abroad and earn well.. But the fact is that it has lost its “devotional” touch as media for propagating faith. Same is the state with dance, painting, drama, yoga, religious pilgrimage etc For the sake of mass appeal, (if foreigners can be attracted and profit is ensured) even helipad will come up on mountain top. The disgust one develops of a 'Holy' place has to be seen by traveling as a commoner. On other front, large sculptured works like temples, monasteries, viharas and shrines of yester-millennium, where worship got stopped due to the end of ruling dynasties or because of natural calamities, have got converted as archeological monuments or heritage sites to get recognition from international fraternity. The biggest organized fraud around is the annual Makara Vilakku at Sabarimalai in Kerala, where the light appearing at distant hills appearing at dusk time, witnessed by lakhs of devotees is nothing but a bonfire lit by locals, in connivance with State for attracting tourists. Cauveri Udbhava at Talakaveri at an exact moment every year is yet another fraud perpetrated on the gullible. Whatever be the intentions behind perpetrating these 'miracles', these are clear examples of vested interests in society and governments high jacking instruments and institutions of god for their gains. Can such a helpless Power salvage common man?